In the echoing main hall of the Cathedral Church of St. Paul on Sunday, Myles S. Golden, a black gender-nonconforming trans-femme poet, stood up to perform. Although Golden is a decorated poet, it was their first time performing for an audience made up of mostly transgender people, an audience who listened with quiet rapture to the passionate frustration that dripped out of each word of Golden’s poetry. “Golden laughs at three non-trans people canvassing in Houston, Texas, instructing citizens that voting can stop transphobia,” Golden read. 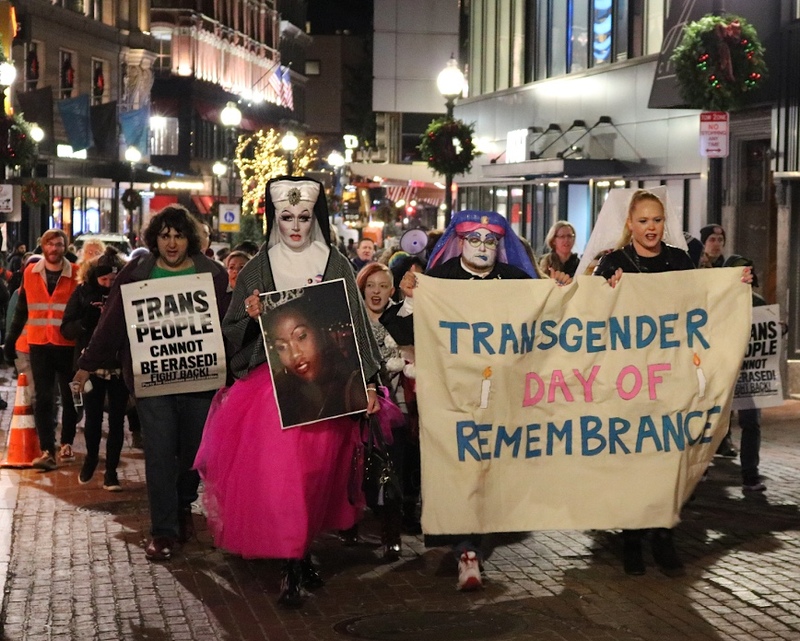 The church near Downtown Crossing was filled with roughly 300 allies and members of the transgender community who came together Sunday night to mourn and rejoice in honor of Transgender Day of Remembrance, which falls annually on November 20. The commemoration was established in 1999 to memorialize those who have died as a result of transphobia and hate crimes. Communities across the United States hold vigils and create memorials to honor the victims. Transgender Day of Remembrance wasn’t always a national event. In fact, it all started here in Boston, after the murder of a woman in her small Allston apartment on a cold November evening in 1998. Rita Hester was a 34-year-old African American trans woman who lived in Allston and frequented Jacques’ Cabaret, a bar in Bay Village that served as a hub for the transgender community. When Hester was not performing Whitney Houston songs at Jacques’, neighbors often observed her taking care of her black cat or having friends over. On Nov. 28, 1998, police found Hester in her apartment at 21 Park Vale Ave. at approximately 6:30 p.m. She was barely breathing after having been stabbed in the chest 20 times. She died from cardiac arrest in the hospital. Her murder rocked the transgender and African-American LGBTQ+ communities throughout Boston. People poured out into the streets for a vigil and march held in Hester’s honor. A year later, Hester’s murder still fresh, Gwendolyn Ann Smith, a transgender writer and activist, held the first official Transgender Day of Remembrance. This year marks the 20th anniversary of Hester’s death. The visibility of the trans community has improved; about 1.4 million people in the United States identify as transgender today. However, hate crimes and transphobia-related murders are far from gone. Three trans women were killed this year in Jacksonville, Florida, their deaths just months apart. The Jacksonville Police Department has continued to refer to them using male pronouns and deadnames. In the trans community, a deadname is the name one is given at birth but has abandoned in life. This same thing happened to Rita Hester 20 years ago. After her death, The Boston Globe referred to her by her deadname of William, and described her as a man “who sported long braids and preferred women’s clothes.” Some believe this refusal by the police and the media to acknowledge Hester’s true identity is the main reason why her murder remains unsolved. The Boston Globe published a story about Rita Hester’s murder, but used her birth name, William. Cheryl Katon, a 50-year-old trans woman from Quincy, understands this first hand. Katon refers to herself as a trans woman, but also identifies as bigender. She goes to work in her male presentation and lives her personal life in her female presentation. “If you wanted to find out about me, and you used my guy name, you’d never find anything. I very purposefully keep them very separate,” Katon said. On a recent Sunday, Katon drank a coffee in a Caffe Nero bustling with student traffic. Her smile was warm and genuine. She was made up. Her shiny brown hair was set in perfect place, and she was decorated with bracelets and rings. Katon says that she tries to be the most charming and engaging trans woman anyone has ever met. 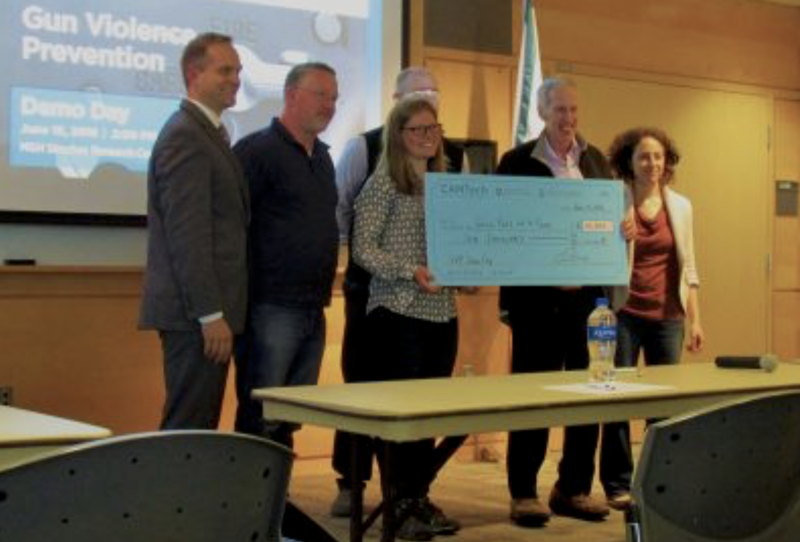 Although it might not be the ultimate solution to violence and discrimination of the trans community, she hopes it will help the cause. Speaking about the hatred and harassment her community has endured, however, Katon’s tone changed and her voice cracked a bit. Katon, who is white, added that trans women of color receive this kind of discrimination at even higher rates. According to GLAAD, founded as the Gay & Lesbian Alliance Against Defamation, 22 trans people of color have been killed in the United States in the past year. Almost all of them were women. 19 were women of color. Transgender Day of Remembrance is separate from Transgender Day of Visibility, which happens on March 31. The former is a day of reflection, while the latter is a celebration. The transgender community is growing. In 2011, a study by the William’s Institute estimated that there were approximately 700,000 transgender people in the United States. Five years later, in 2016, federal and state data put those numbers around 1.4 million. Yet many trans people still find themselves excluded by their community and government. During the 2018 Massachusetts midterm elections, one of the ballot questions threatened to end a law that protects transgender people from discrimination. Under the current law, any public place that has separate areas for males and females must allow access to those areas that is consistent with one’s self-determined gender identity. The transgender community was able to win the vote, but the general mood following the election is mixed. By the end of their poem, in the hall of Cathedral Church, Golden’s voice grew louder, bouncing off the walls and enveloping a silent audience. Before reading the names of those being memorialized, Golden left their audience with a final question.